The banking regulator, the Australian Prudential Regulation Authority (APRA) wrote to all authorised deposit-taking institutions (ADIs) announcing further measures to reinforce sound residential mortgage lending practices. Since then we have seen the CoreLogic home value index showing that capital city dwelling values are increasing at their fastest annual pace since 2010. We have also seen the Australian Securities and Investment Commission (ASIC) announcing increased industry surveillance around whether or not lenders and mortgage brokers are inappropriately recommending interest-only loans. Thereafter we have seen a lot more commentary coming from the Reserve Bank (RBA) and APRA around the housing market and the recent changes to lending policies. Continue to restrain lending growth in higher risk segments of the portfolio (e.g. 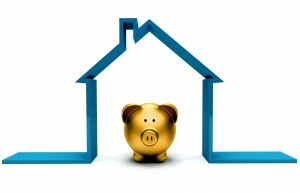 high loan-to-income loans, high LVR loans and loans for very long terms). If we firstly take a look at interest-only lending, the latest APRA data shows that over the December 2016 quarter 37.5% of new lending was for interest-only mortgages. Although the proportion of lending for interest-only mortgages has fallen recently, it is still well above 30% so clearly most lenders will need to pull-back lending in this area. 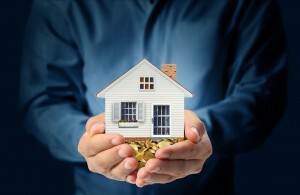 APRA has noted that higher levels of interest-only lending is indicative of a higher risk profile and as a result is looking to slow this segment of lending. Housing investors like to use interest-only mortgages because the interest component of the mortgage is tax deductible whereas the principal is not. As a result, reduced availability of interest-only mortgages may in-turn make investment somewhat less attractive if a proportion of the mortgage repayments are not tax deductible. APRA also commented that interest-only lending at higher loan to value ratios (LVR) pose particular risks for lenders and borrowers. As such, they expect interest-only lending on an LVR above 80% to be closely monitored for internal risk limits. The above chart highlights the proportion of total lending each quarter for mortgages with an LVR of 80% or more. There has been a quite substantial decline in higher LVR lending over recent years however, it still accounted for more than 20% (22.4%) of the market over the December 2016 quarter. Mortgages with an LVR above 80% typically require lenders mortgage insurance (LMI) so if fewer mortgages are being written with an LVR above 80%, fewer mortgages will have LMI. This may create some additional market risks especially if some mortgage are falling below an 80% LVR due to deposit help from family. APRA also reaffirmed their 10% speed limit for investor credit growth noting that industry-wide growth remains below the threshold but it has begun to accelerate again. The letter stated that any ADI operating in excess of the 10% threshold will be subject to an immediate review of the adequacy of their capital requirements. The above chart highlights the annual change in investor housing credit according to data published by the RBA and shows the 10% threshold. The chart highlights investor housing credit over recent years has expanded at a much slower pace than it has in the past but it also shows that over recent months the annual rate of growth has accelerated. 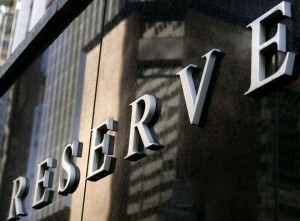 APRA also reaffirmed the minimum expected interest rate buffer. 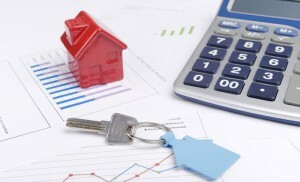 When assessing a mortgage the lender will need to assess the borrower’s ability to repay that mortgage in the event that mortgage rates are either at least 2% higher than the current rate or at least 7%, whichever is higher. These policies aim to ensure that in the event of interest rate increases the borrower can continue to repay their mortgage. Following APRAs letter to the ADIs, ASIC announced that they are undertaking ‘surveillance in the form of mystery shopping to examine whether lenders and mortgage brokers are inappropriately recommending more expensive interest-only loans’. Many lenders apply higher interest rates to interest-only loans compared to principal and interest mortgages and ASIC want to ensure the products that are being recommended to the borrower are ‘not unsuitable’. 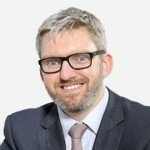 The statement also notes that although interest-only mortgages are appropriate for some borrowers, for the vast majority of owner-occupiers in particular, an interest-only mortgage won’t make sense. It seems that this move along with APRAs aims to discourage interest-only lending to owner occupiers. CoreLogic released the results of their home value index for March 2017. The report showed that over the past 12 months, combined capital city dwelling values have increased by 12.9% which is their fastest annual pace of growth since May 2010. In Sydney, dwelling values are increasing at their fastest annual pace since November 2002, in Melbourne they are rising at their fastest pace since August 2010 and Canberra values are increasing at their fastest pace since July 2010. At the same time last year growth in the market was slowing however, two 25 basis point cuts to interest rates in 2016 and the return of investors to the market has resulted in a reacceleration of growth in the market since around the middle of last year. On Tuesday of this week the RBA held their monthly monetary policy meeting at which they kept official interest rates on hold at 1.5%. The statement following the meeting seemed to support the recent moves from APRA and ASIC. We have also had both Phil Lowe (governor of the RBA) and Wayne Byres (APRA Chairman) deliver speeches this week. Phil Lowe firstly reaffirmed and supported the changes made to lending policies by APRA and ASIC as well as highlighting the rising level of household and housing debt from already high levels. While he noted households are coping well with high levels of household debt, he highlighted the fact that slow wages growth makes it difficult for some households to repay that debt. The Governor also noted that demand for housing has picked up due to much higher rates of population growth since the mid-2000s and concurrently there has been an insufficient investment in transport infrastructure to support the level of population growth. This underinvestment has pushed up prices while supply has been unable to keep pace with the increasing demand. Wayne Byres speech related to the recent changes to lending policies made by APRA. The important point the Chairman made (and has made a number of times) was that the policy changes are not made to target house prices, the prudential regulators mandate is not to control or influence housing prices. Rather APRAs role is to promote ‘a higher than normal degree of prudence’, particularly with respect to residential mortgage underwriting standards in this heightened risk environment. The Chairman also announced in his speech that APRA will be making lenders hold more capital against their mortgages to ensure that they are ‘unquestionably strong’. 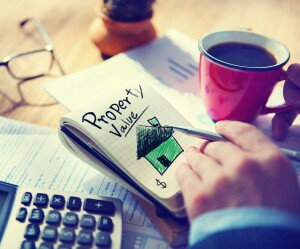 All of these changes being made are aimed at improving mortgage quality but neither APRA, ASIC nor the RBA are responsible for setting an appropriate level for growth in dwelling values. So the question remains, will these measures slow demand enough to slow the rate of value growth? That remains to be seen but we can make some educated assumption based on what has been announced. Reducing the flow of interest-only lending may see some slowing of demand from the investor segment of the market although keep in mind it has been trending lower and needs to fall from 37.5% to 30%. The limit of investor credit growth to 10% annually will also slow demand to the investor segment and this is already in place so there is effectively no change here. The interest-rate buffers are also already in place so that is unlikely to have much of an impact although it should result in marginal borrowers finding it more difficult to take out a mortgage. 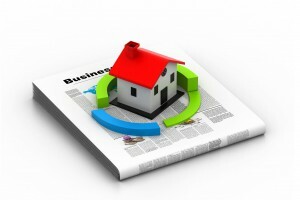 Arguably the move which could have a substantial impact is the greater capital requirement for mortgages. 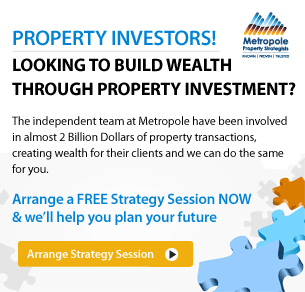 More details about APRA’s approach here will be released in mid-year. The cost of the additional capital is ultimately likely to be borne by the borrower not the lender in the form of higher mortgage rates. Mortgage rates are already moving higher independently of the RBA and further hikes could contribute to a slowing of the market. 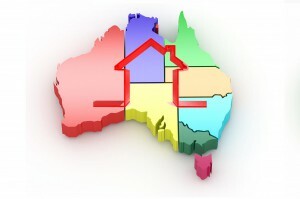 While these changes may result in some slowing of the market, they are unlikely (on their own) to substantially slow the increases in dwelling values, particularly in Sydney and Melbourne. Other factors continue to contribute to the growth in these two cities. On the demand side you have low interest rates which encourage borrowing and very strong population growth creating additional housing demand. On the supply side the amount of stock advertised for sale has been falling over the past five years at a time when demand has been growing and as the RBA Governor noted new housing supply and investment in essential infrastructure continues to be insufficient. Overall, the changes are likely to slow growth in the housing market around the margins, but they are very unlikely to stop it in its tracks. and complement prudential and lending regulation in order to materially impact housing affordability and slow the robust growth in values being recorded in som e of the capital cities currently. From an investor’s rationale, surely the proposition for investment, particularly in Sydney and Melbourne is starting to weaken. 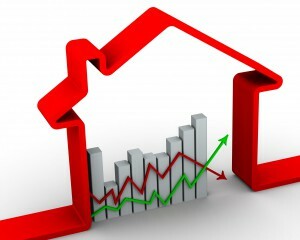 The currently market growth cycle has now been running for almost 5 years, yields have been compressed to record lows, affordability is stretching household budgets, debt levels are at record highs, mortgage rates are edging higher and there is probably some further policy announcements from APRA just around the corner which will require higher capital against residential mortgages which will likely push mortgage rates higher. All these factors combined should be sending a firm signal to investors that housing markets are likely approaching their peak – do they really want to be left holding a low yielding asset with dimmer growth prospects and higher servicing costs?